The most beautiful thing in the world is the WORLD itself. People often ask us to stop every now and then. To just stop and cherish the beauty of Nature. To calm ourselves and appreciate every bid offered by life. But with a hectic life, one doesn’t get to enjoy the beauty of the mother nature much. Yet, thanks to the advancement in technology and the invention of Drone, that has helped us capture some of the most beautiful sights in the world. Even if you are not a nature lover, these astonishing images are worth having a look at. Not many of us really knew that this universe is a beautiful place to live in. 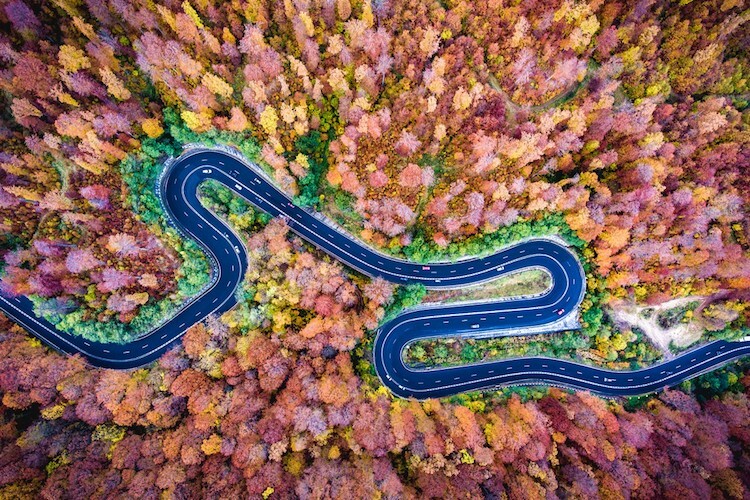 If you think that this is a photoshopped image, then sorry to disappoint you, but this is one of the highways in Romania. This extended highway connects Romania to the states around. It owes its beauty to the tall, lush trees which standby in colors of red, mauve and yellow. When autumn sets in, it’s a yellow land. Imagine driving up on this road and being surrounded by such a scenic beauty. Pack your bags, this is probably the most beautiful highway to go up for a long drive with your partner. Surely one needs to have a careful look at this photo to understand what it has captured. 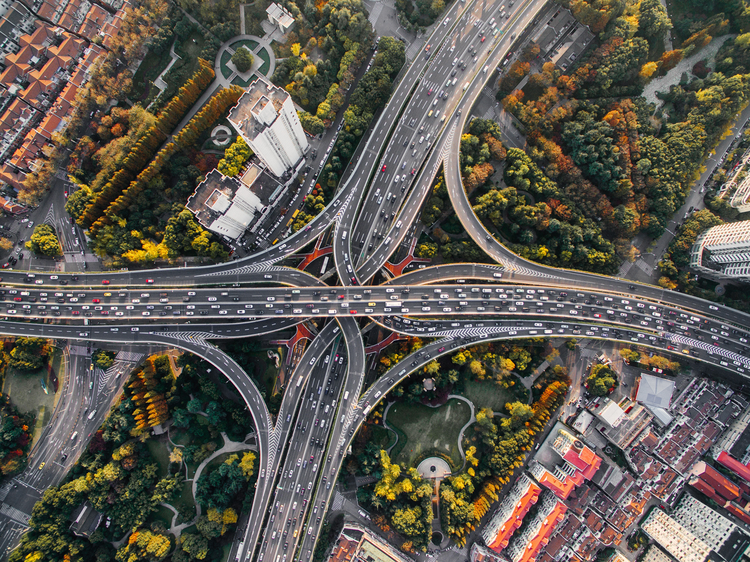 No, it’s not a swinging highway or something but is a pictured captured at a particular angle by the famous Turkish drone photographer, Aydın Büyüktaş. What appears to be a land that has recently faced a volcano eruption is actually the red hills of a remote highway that stretches all the way across the beautiful land of Arizona. This is the absolutely baffling side of Nature. It seems to be a part of the hottest planet Mercury may be! Drones surely have changed the way we look at the world. 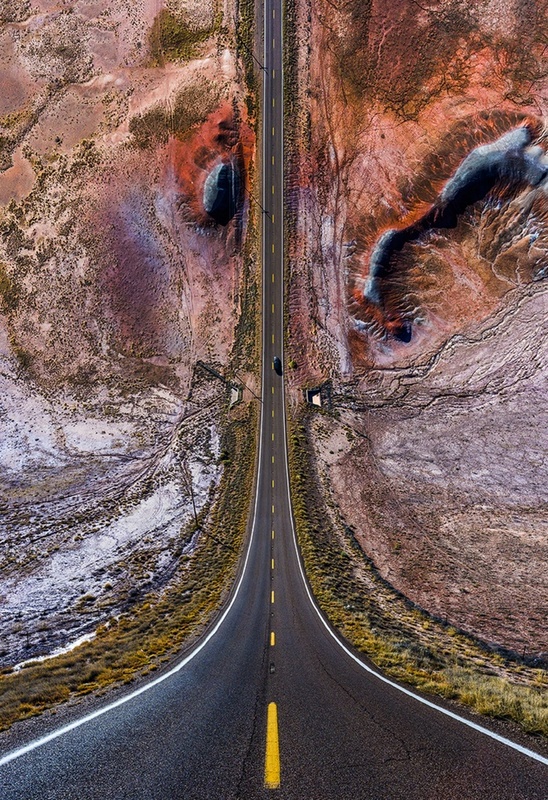 This image captured by another drone is spectacular. Humans would else have not thought of capturing any such scene, rather one would have not been able to make up till here and catch this sight through the naked eye. 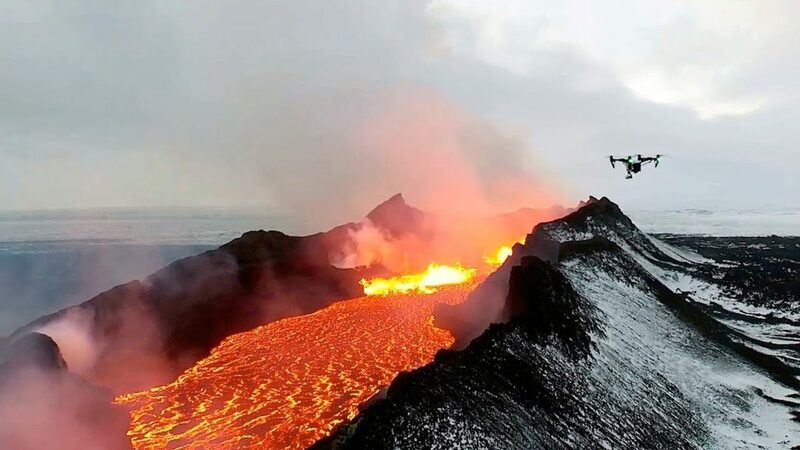 Thanks to the drone that have provided us the visual of a lava river. Well, that’s not exactly a lava river but is the volcanic lava passing between the two mountains. That’s a steaming hot lake of fire. A perfect blend of colors from the sky, Iceland, and the fireball. It completely depends upon your individual perspective, how you look at this image. To some, it might be a blue-eyed, while others might think of it to be a hole in the Earth’s surface, a green woven carpet bearing a hole in the middle. This is a natural landscape. 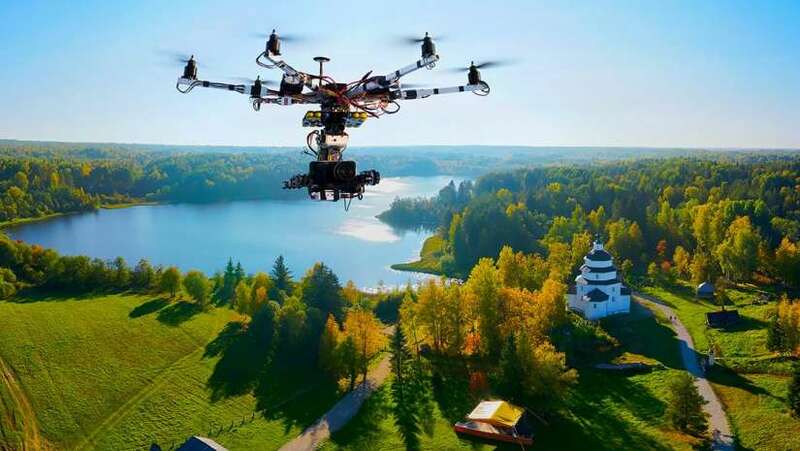 It is another drone capture from Sweden. A water lagoon surrounded by lush green forests. The mystical blue water body looks absolutely mesmerizing. No doubts, the world is yet less explored and is beautiful. Even if it appears you to be a little feminine, this sight will make you fall in love with the color Pink. Many of would disregard it to be a fake image or a dream world, but people, this landscape is in real. 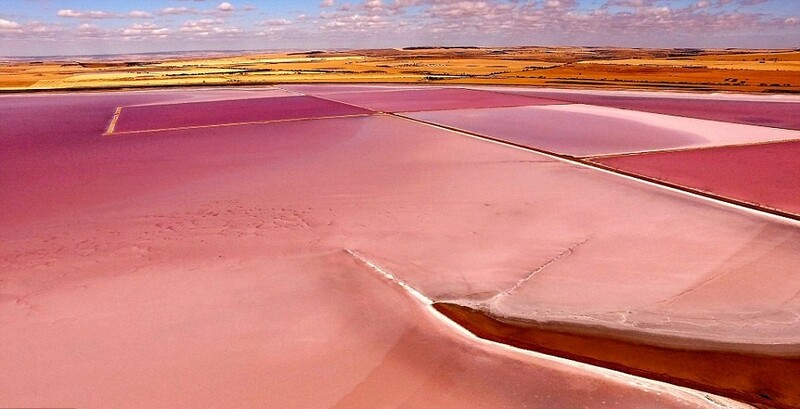 South Australia is a home to one of the most beautiful landscapes-The Pink Salt Lakes. Yes, you read that right. These are pink colored water bodies exclusive to Australia. 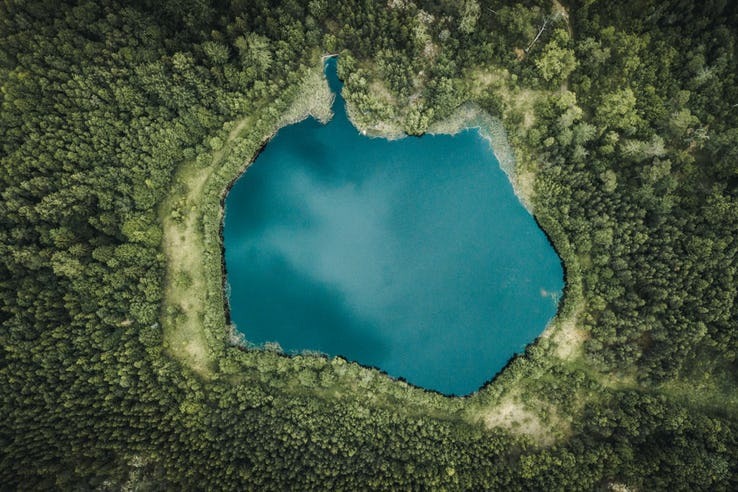 This picture was captured by a drone enthusiast Cameron Puglisi who is based in Adelaide. All of us hate getting stuck up in the traffic. Yet, this picture looks astonishing when it’s in the busiest hour. This is a multi-level downtown interchange in Shanghai, China. While the precision of the drone that captured this shot is praiseworthy, the engineers who designed the plan of such a structure deserves a pat at the back too. A country that is nearing the population of nearly 24 million deserves such kind of plans. Kudos to such brilliant heads!